Another more recent study found that animals and humans who consume pesticide-laden GMO foods have extremely high levels of glyphosate in their urine. What’s more, chronically sick people have higher levels than healthy people. Conversely, people who eat primarily organic foods, and animals that are given feed from non-GMO plants, have lower levels of glyphosate in their urine. The study was published in the Journal of Environmental & Analytical Toxicology. Researchers exposed participants’ blood to different levels of glyphosate consistent with the ranges and concentrations which have already been well established in our drinking water, air, soil and food – between .01-5 millimolar (mM) for 1, 4, and 24 hours. What they found was that glyphosate and other ingredients in RoundUp lead to ‘slightly significant’ negative effects on red blood cells. 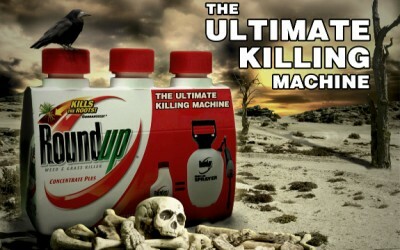 In other words, our blood is simply not ‘RoundUp Ready’.